Jatmanasi - Jatmanasi is an Ayurvedic herb commonly found, which is helpful in growing hair. It removes impurities from the blood,you can take it as medicine or even apply it on the hair.Take doctor advice for take this herb as medicine. Amla - Today women use Amla powder with Hina in their hair. Vitamin C is rich in this natural product which play very vital role for make your hairs long and beautiful. Bhringraj - King of herbs which has the best quality of hair length enhancement.Make paste of bhringraj leaves in the warm water and apply this paste on your scalp for 15 to 20 minutes. FenugreekSeeds - For increase hairs growth mix some spoonful of fenugreek seeds in hot water and after cooling, apply it on the hair and leave for 20 minutes then wash.
Margosa Leaves - Very effective remedy for increase hairs growth,boil this herbs in 4 cups water. Now let it cool down the leaves and wash the hair with this water. Curry Leaves - Boiled 15 to 20 curry leaves in a cup of water,cool down this water and wash your hair with this water.By doing this your hairs become more healthy and long,curry leaves packed with many good properties. Reetha - For long,strong and beautiful hairs wash your hairs with reetha,there was a time when women use ritha as shampoo to wash their hair. Shikakai - You can pick up the Shikkakai powder from any organic store. 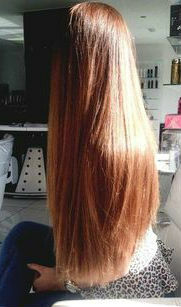 Mix it only in water and apply it in whole hair and get healthy and long hair.